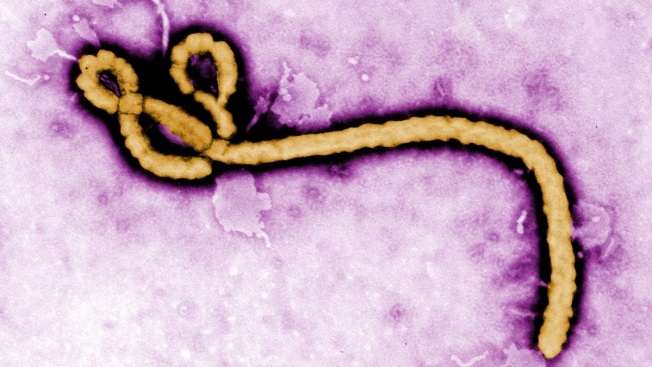 In this handout from the Center for Disease Control (CDC), a colorized transmission electron micrograph (TEM) of a Ebola virus virion is seen. As the Ebola virus continues to spread across parts of Africa, a second doctor infected with the disease has arrived in the U.S. for treatment. An American who was providing medical assistance in Congo may have been exposed to the deadly Ebola virus and is being monitored at a Nebraska medical center. The University of Nebraska Medical Center in Omaha confirmed Saturday that it was housing the person in a secure area that is not accessible to other patients or the public. Spokesman Taylor Wilson said the person arrived Saturday afternoon. The medical center is not providing any details to honor the person's request for privacy. The facility also is not identifying the person as a patient or when the person was in Africa. Officials say the person is not ill and has no Ebola symptoms but will be monitored for up to two weeks. The medical center has a dedicated biocontainment unit and treated three Ebola patients in 2014.